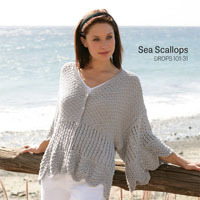 Go to original pattern for design DROPS Extra 0-525. 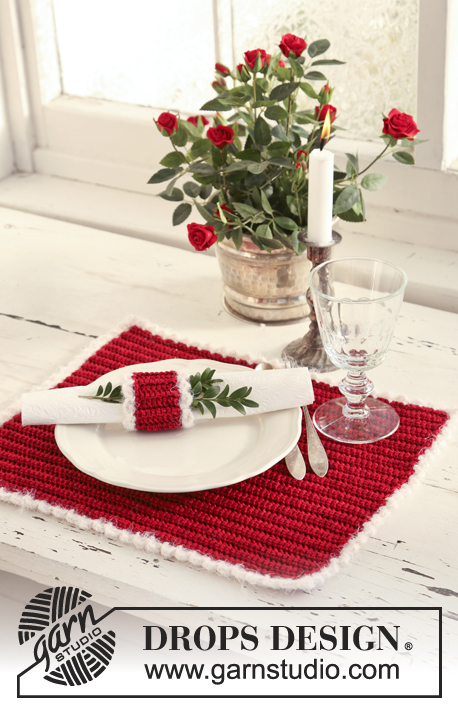 Crochet DROPS place mat and serviette ring for your Christmas lunch in ”Cotton Viscose” and ”Symphony”. Measurements, place mat: approx 40 x 30 cm [15¾” x 11¾”]. Remnants of each color from place mat. 50 g color no 01, white. DROPS CROCHET HOOK size 3.5 mm [E/4] – or size needed to get 19 sts x 14 rows in pattern with 2 threads Cotton Viscose = 10 x 10 cm [4’’ x 4’’]. 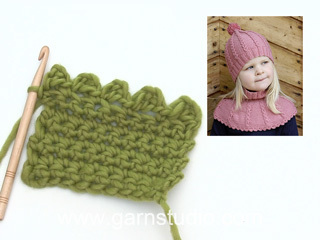 PATTERN: Only work sts on next row in back loops of sts from previous row. PICOT BORDER: Crochet with 1 thread Symphony as follows: 1 sc in first st, * 4 ch, 1 dc in the first of these ch (= 1 picot), skip approx 1 cm [3/8’’], 1 sc in next st *, repeat from *-*, and finish with 1 sl st in first st.
Crochet 82 loose ch (includes 1 ch to turn with) with 1 red thread + 1 thread deep red (= 2 threads) and crochet hook size 3.5 mm [E/4]. Continue as follows: 1 sc in second ch from hook, * 1 sc in each of the next 7 ch, skip 1 ch *, repeat from *-* until 8 ch remain, work 1 sc in each of these = 72 sc on row, finish with 3 ch, turn piece. 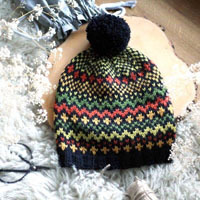 Now continue in pattern – SEE ABOVE. 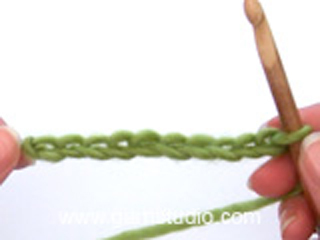 When piece measures approx 28 cm [11’’] cut and fasten the thread – finish after a row with sc. 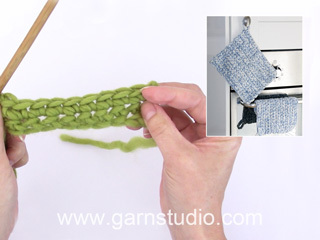 Crochet a Picot border round the mat – SEE ABOVE. Crochet 10 loose ch (includes 1 ch to turn with) with 1 red + 1 deep red thread (= 2 threads) and crochet hook size 3.5 mm [E/4]. Work 1 sc in second ch from hook, then 1 sc in each of the next 3 ch, skip 1 ch and work 1 sc in each of the last 4 ch = 8 sc, finish with 3 ch, turn piece. 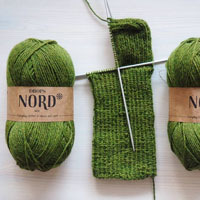 Continue in pattern – SEE ABOVE - until piece measures 14 cm [5½’’], cut the thread and sew cast on row to the last row, edge to edge to avoid a chunky seam. 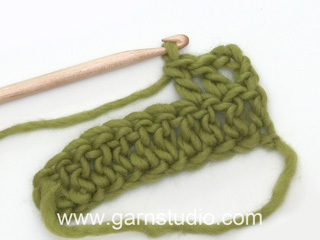 Crochet a Picot border round the 2 open sides – SEE ABOVE.